Blender Boot is a Ubntu based Linux distribution with a set of some pre-configure Linux most popular software such as Blender , Gimp , etc... and with a nice GUI interface. Blender boot OS can directly be run from Usb in live mode or either you can install it onto your system internal hard drive/USB drive. when first time i have create a boot-able Usb for Blender than I face some problems, that's why i am going to post something about this. # Popular apps compiled with Blender Boot OS. # Why Blender is a useful Linux distro. # How to boot Blender Boot OS from a particular sub-directory of USB Drive. # What Problems you can face while you boot Blender OS first time. # chain-loading blender using grub4dos. #2. 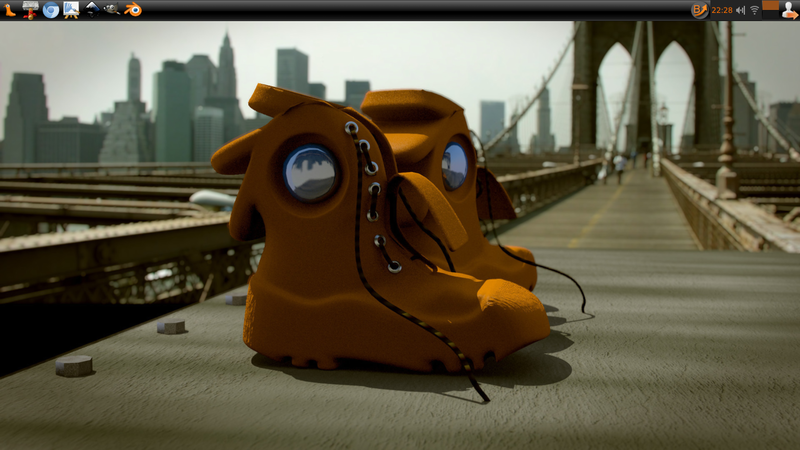 Blender boot specially designed for fast rendering if you are going to render your animation movie using Blender. of-course this OS takes less time for rendering a sample animation movie and works fast. 1. Download Bootice latest version. 3. format your USB drive as FAT32 file system. 4. copy the content of Blender Boot is to your Usb drive. 5. Run Bootice as Admin rights/access. process PBR >> select your USB drive and than Install "SYSLINUX" to your USB drive PBR boot code. 6. copy and paste the file, isolinux.cfg as syslinux.cfg to root of your USB drive. 7. boot your PC / Laptop from USB. You have done,,,, now try to boot.
" if you are going to set-up more than one Linux OS to boot from your system internal hard drive than you want to boot your Linux disro from a particular sub-directory of your system partition." 1. follow the steps same as above up to 6 steps. 7. we need to add some kernel boot parameters into boot configuration file for PBR boot loader , in this case we are using syslinux therefore we have to edit the syslinux.cfg file. 8. Here we have have to add a kernel boot parameter so that kernel will load the live file system from your defined directory, in this Tutorial I am gong to blender from a directory named as "blender"
~ this boot parameter tell to kernel about the sub-directory where live file system files are placed. | isolinux.cfg <<-- Need to rename this into " syslinux.cfg "
11. Save the syslinux.cfg file. 1. First time when you boot blender OS from USB than never forget to select XFCE Desktop Environment and after that you will be able to logging into Blender OS. 2. If you are a Live User than you have to use "live" as user name with no password. 3. If you save your work on to NTFS file system than it will may be corrupt, if you shut down your PC immediately. 4. So if you want to save your work than use FAT32 file-system. 1. Install Grub4dos to PBR boot codes of your memory device partition using BOOTICE. 2. copy "grldr" file to root of your memory device partition. 3. create a configuration file for Grub4dos, by default name will be "menu.lst"
title blender boot-user-live with no password\n select the xfce live session on login screen and than use user name as "live" with no password. # I use blender-os.txt file just for ease to make a understandable grub4dos config file, also this is blank text file.. helps when you have a multipart-multiboot usb stick..